Republican challenger Mitt Romney performed strongly Wednesday in his first presidential debate, putting Barack Obama on the back foot as he reignited hope in his flagging campaign. Needing a good showing to turn around some poor poll numbers, the former Massachusetts governor went on the offensive from the get-go, hammering the president for economic policies he said had “crushed” America’s middle class. Romney played the aggressor throughout the 90-minute encounter and appeared far more at ease in the cut-and-thrust of the debate format, which left Obama seeming at times nervous and irritated, even under-prepared. Obama jumped on Romney’s lack of specifics as the rivals clashed fiercely on taxes and health care reform, but the president stuttered into several of his more detailed answers, while the Republican was crisper and clearer. “I’m concerned that the path we’re on has just been unsuccessful,” said Romney, fighting for his political life as he trails in the opinion polls with less than five weeks to go before election day. “The president has a view very similar to the view he had when he ran four years ago, that a bigger government, spending more, taxing more, regulating more — if you will trickle-down government — would work,” Romney said. Obama hit back by suggesting that Romney would bring in $5.4 trillion in tax cuts, particularly geared towards the wealthy, and said Romney hadn’t been clear about what loopholes in the tax system he would close. 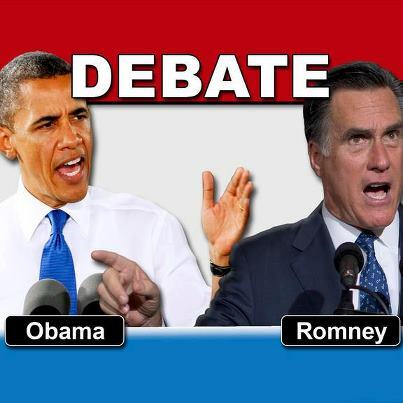 Romney hit back hard against Obama’s claims as the tax issue sparked the fiercest clashes of the night. Obama clings to a narrow lead in his bid to defy the omens of a stubbornly sluggish economic recovery and to become only the second Democrat since World War II to win a second term. Romney, down in almost all the key battleground states that will decide who wins the 270 electoral votes needed to win on November 6, sought a sharp change of momentum in a race that seems to be slipping away from him. “I don’t think there’s any doubt that Romney won,” Terry Madonna, director of the Center for Politics and Public Affairs at Franklin and Marshall College, told AFP. Despite the unrest in the Middle East, the debate focused strictly on economic issues. Foreign policy gets its turn in the final of the three presidential debates at the end of the month. Romney, a multi-millionaire former venture capitalist, was expected to come under scrutiny over his complex offshore tax arrangements, which Democrats have highlighted to press the case that he is indifferent to middle class struggles. But Obama did not mention these, nor Bain Capital, the controversial Boston firm that Romney co-founded on his way to amassing his huge wealth, nor the most obvious of recent slip-ups by his gaffe-plagued opponent. The 65-year-old Romney badly needed to reset the election narrative, after a video emerged of him branding 47 percent of Americans as people who pay no taxes and see themselves as “victims” who depend on government handouts. The 51-year-old president was marking his 20th wedding anniversary on Wednesday and began the debate with a shout-out to First Lady Michelle Obama, apologizing for the unromantic setting. “Congratulations to you, Mr. President, on your anniversary. I’m sure this is the most romantic place you could imagine, here with me,” joked his adversary in a rare moment of levity as the duel began. Summing up, Romney said that if Obama was re-elected it would usher in an era of falling household incomes and chronic joblessness. Obama had countered with accusations that Romney has no specific plans to create jobs or move the country forward other than the failed Republican policies that he said got the country in trouble in the first place. “You know, four years ago, I said that I’m not a perfect man, and I wouldn’t be a perfect president, and that’s probably a promise Governor Romney probably thinks I’ve kept,” Obama said in his conclusion. Several national polls released before the debate showed a tight race, with Obama ahead by a few points. Polls of the key swing states that will decide the election give the president a clearer advantage. Here are some of the key quotes of the night.